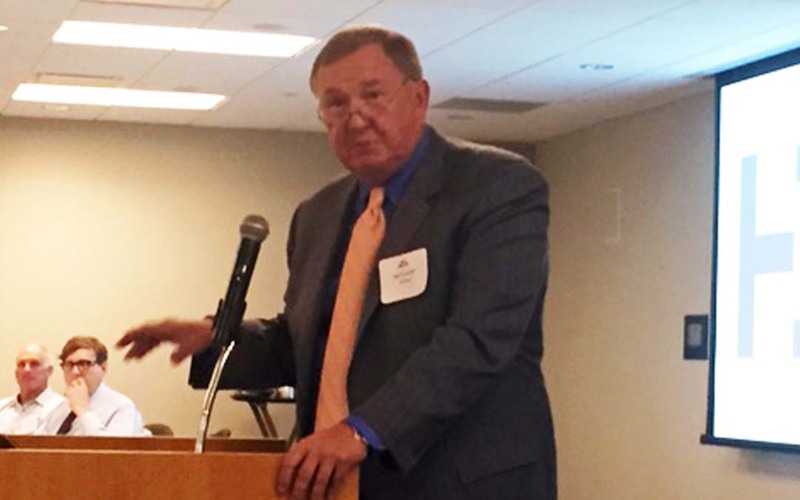 The Illinois Road and Transportation Builders (IRTBA), an ARTBA chapter affiliate, held its 9th annual Planning & Design Conference in Oak Brook, Illinois, on July 14. ARTBA Chairman Nick Ivanoff addressed over 170 attendees about the critical need to find a long-term fix for the Highway Trust Fund and to enact a multi-year surface transportation bill. He encouraged members to get involved with ARTBA’s grassroots efforts to keep pressure on Congress to get the job done. IRTBA President and CEO Michael Sturino said the group was honored by Ivanoff’s attendance at the conference. In addition to being briefed by Ivanoff, attendees at the conference also heard from new Illinois Department of Transportation Secretary Randy Blankenhorn, as well as the new Illinois Tollway Executive Director Greg Bedalov.